Every year, the Consumer Electronics Show in Las Vegas opens its doors not only to tech companies from around the world, but also to automakers willing to shine a light on their latest and greatest gadgets, and cars. This year, the BMW Group presents its vision of intelligent connectivity to the public, highlighting the potential for future individual mobility. The focal point of the company’s CES showcase will be the BMW Vision iNEXT, which looks ahead to the future of driving pleasure, and the BMW Intelligent Personal Assistant, which constitutes the central element for interaction between the driver, their vehicle, and their digital world. 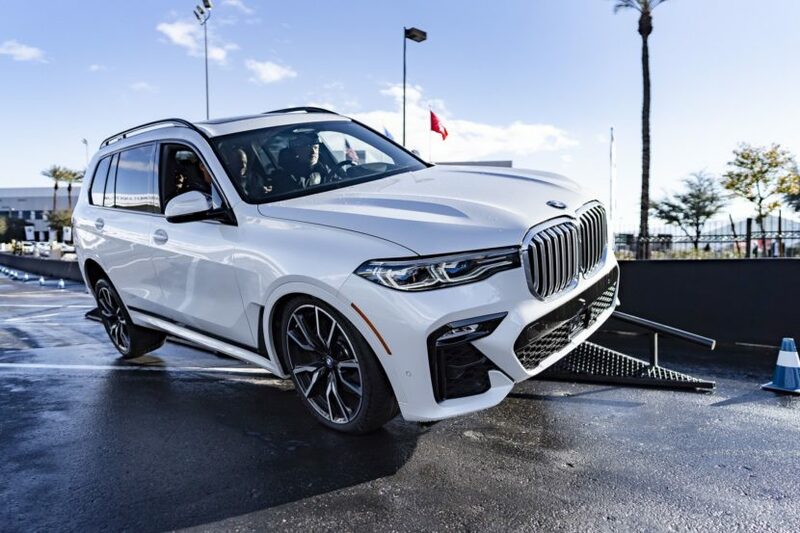 But with the floor open to showcase other products as well, BMW took the opportunity to re-introduce to the world the all-new BMW X7 SAV. The largest ever BMW truck made a splash at the 2018 LA Auto Show and it’s just weeks away from its market launch. 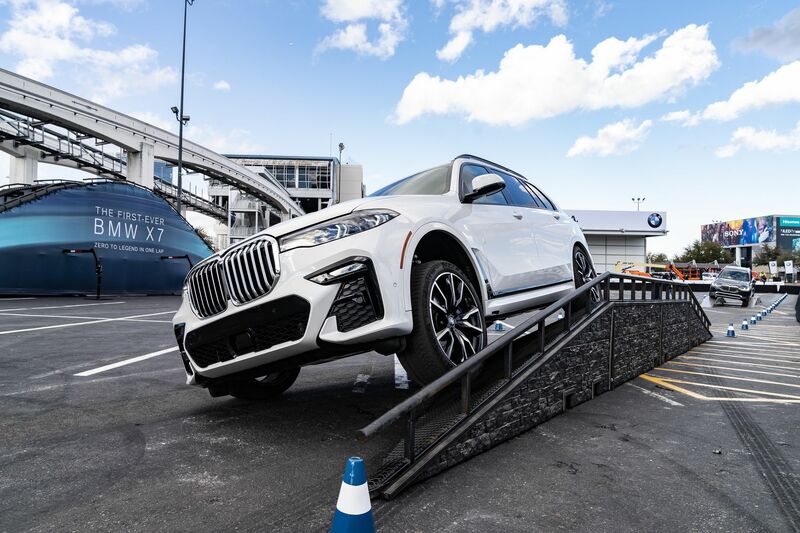 Outside of the CES halls, the Bavarians have setup a mild “offroad” course which allows the X7 to showcase its unique abilities. One of them being the Off-Road Package. The optional offering comes with skid plates, hill descent control, an electronic differential lock and a functional underbody cover. BMW seems adamant that the X7 can handle itself, moderately, on some rough terrain. With four new driving modes – xSand, xGravel, xRocks and xSnow – the X7 will be able to take you through different terrains with a touch of a button. In the United States, the X7 will set you back at least $74,895 when it goes on sale next year. That includes the shipping and handling tax and will get you the entry-level xDrive40i model, with its 3-liter straight six petrol engine and 340 HP. If you want a V8 under the hood, you’ll have to pay considerably more – $93,595. 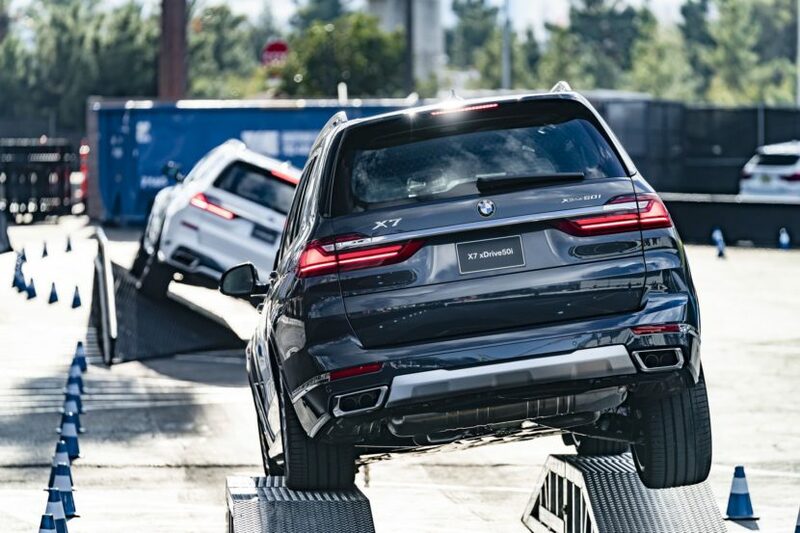 That also includes handling and shipping and means you can have your BMW X7 xDrive50i with 456 HP and 650 Nm of torque (479 lb-ft).